Even on a grey, foggy, damp day you have to stop and admire the beauty of the world - especially when you come across sights like this. This is a sea stack, and there are many of them throughout the world. All sea stacks were once part of the headland, but have been left standing alone thanks to erosion caused by strong winds and strong waves that bash against the rocky sides of the headland. Their birth is a multi-stage event. Even though the sides of the headland look strong, they are actually full of weak points. Softer sediment and rock is stripped away, and tiny cracks and holes allow the sea to work its way through. The more the waves hit these weak points and the wind blows through, the larger they get. The end result - a glorious cave. The cave is not safe from the relentless pounding of the wind and water. Over time, nature continues to chip away at the rock, breaking off chunks of rock it breaks through to the other side to form another spectacular sight - an arch! Even now the ocean and the wind take no prisoners and continue their onslaught. If the remaining rock is strong enough, sometimes the arch may survive for a long time. When it is not, the roof of the arch collapses, leaving just the sides - the last strongholds of a now forgotten land - the sea stack. Sea stacks still haven't won against erosion. The waves and the wind still pound away at these natural wonders, and parts of the stack continue to break away. 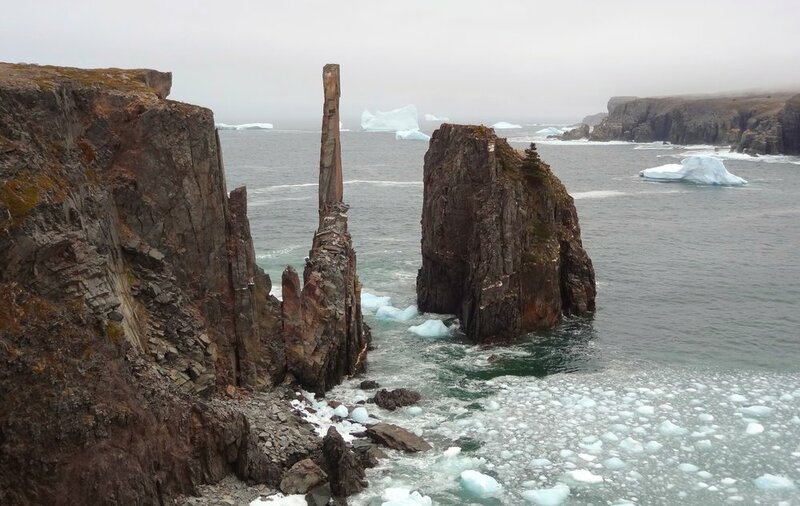 Some sea stacks will survive a very long time - longer than your lifetime, your parents lifetime, your grandparents lifetime and more combined, but inevitably they will eventually fall to the ocean. Newer PostIntegrated multi-trophic aquaculture...and poultry!